“We at Selah desire for our clients to experience a peaceful & professional environment. The Selah styling team is a group of professional hair designers focused on hair excellence. When you walk through the doors of Selah we want you to know “Its all about You!” Come visit us today”. The owner, Tryphena Richardson, chose East Point as her place of business because she feels that East Point is a growing, lucrative area. “It’s close to downtown Atlanta, it’s close to the Hartsfield-Jackson International Airport and there are many wonderful restaurants close by. 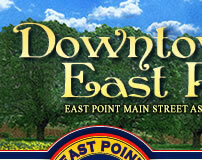 East Point is a small town but feels like the city”, says Richardson. 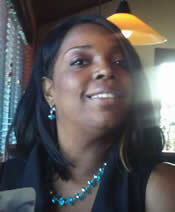 “Selah Phenomenal Salon is committed to offering the highest quality of service to our clients. We at Selah desire for our clients to experience a peaceful & professional environment. The Selah styling team is a group of professional hair designers focused on hair excellence. When you walk through the doors of Selah we want you to know “Its all about You!” Come visit us today”, says Richardson. 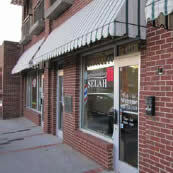 *Once a month Selah offers 1 FREE shampoo set or hair cut to the name drawn at the beginning of the month! *Lunch Specials from 12noon—3pm on Tuesday & Wednesday. *Ask about our monthly specials and customer appreciation day!